“Room No. 9” sets the mood with simple, yet elegant official posters. 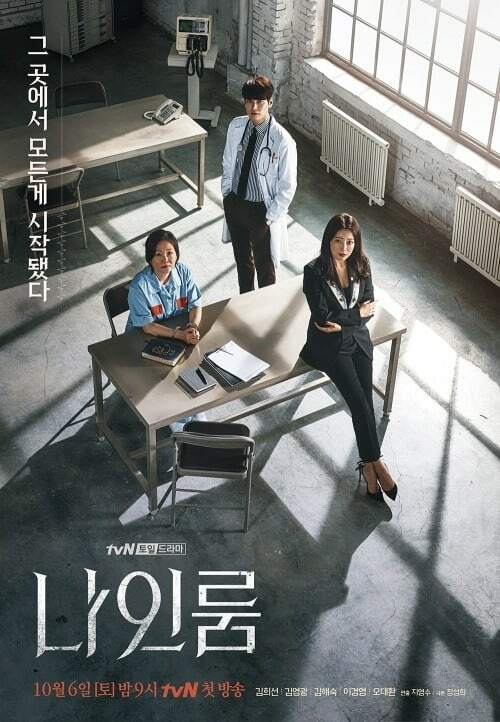 The upcoming drama is about Jang Hwa Sa (played by Kim Hae Sook) the convict with the longest unsettled case on death row, successful lawyer Eulji Hae Yi (played by Kim Hee Sun) whose fate is drastically changed, and doctor Ki Yoo Jin (played by Kim Young Kwang) who holds the key of fate. The released poster shows “Room No. 9” and the caption “The place where it all started.” Kim Hee Sun wears a black suit that matches her chic gaze and her cool charisma as she sits perched on the edge of the interview table. Behind her, Kim Hae Sook is clad in a prisoner’s jumpsuit. Her empty expression reflects the long 34 years spent in prison. Kim Young Kwang wears his doctor’s white coat, between the two, looking out of place in the prison. “Room No. 9” will air its first episode on October 6 at 9 p.m. KST, after “Mr. Sunshine,” and will be available on Viki!